There is too much to talk about when it comes to Tasmania. In fact, everywhere we went, locals were quick to tell us that a week was way too short. At first, we thought they were joking or it was their pride talking. After 8 days of exploring this fascinating island, we know better. To climb all mountains, hike its thousand-and-one nature trails, and visit the many historic towns, you would need several months to explore Tasmania. I mean, Southwest National Park alone covers an area of more than 6000 square kilometers! I will therefore not pretend to have seen it all. But we sure gave it our best shot! As we were driving from South to North, West to East, and twice up and down the East coast, I kept thinking what a pity it is I don’t hear more people talking about Tasmania. I have the feeling that many people who visit Australia, whether it be backpackers, organised tourism, luxury, or other travelers, either think Tasmania is “more of the same”, “somewhat like New Zealand”, or… they don’t think about it all! Time for me to set the record straight. “Tasmanian Wilderness” is a term used to indicate a group of 10 continuous national parks and reserves stretching from the island’s South-Southwest up to its Western and even Central regions. 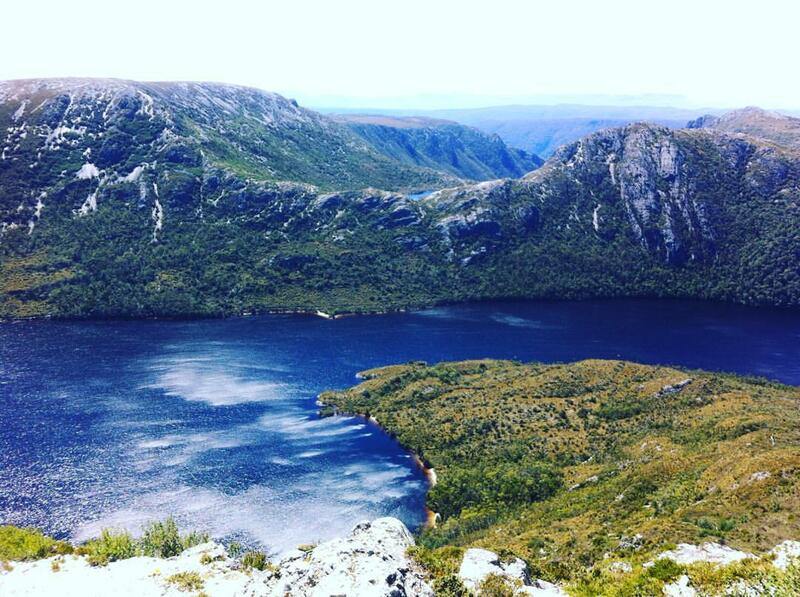 The Tasmanian Wilderness area is one of the largest conservation areas in Australia, and enlisted as a UNESCO World Heritage Site since 1982. The area was extended in 1989, June 2010, June 2012 and again to its current size in June 2013. Cradle Mountain National park contains various walking tracks, including the trails to Marion’s Lookout, past the Wombat Pool, and around Dove Lake. It is also a popular starting point of the adventurous Overland Track. For the more adventurous: the vast and almost inaccessible Southwest National Park. Although together with the Franklin-Gordon Wild Rivers Park it takes up most of the south-western part of Tasmania, it is not easy to get (in)to! The Southwest Wilderness is actually one of the most remote and inaccessible areas in Australia. Beyond the edges of the wilderness, no vehicular roads go into the area, so the only access to the south-western part is by foot, air, or sea. Further up north, there is one road into the core of the park, leading up to Strathgordon and the Gordon Dam, and one route that will get you to the other side of the wilderness: the Lyell highway from Hobart to Queenstown. Freycinet National Park is not part of the Tasmanian Wilderness Heritage listing, but nevertheless stunningly beautiful. It most definitely needs to be mentioned when talking about Tasmania’s natural beauty. Even if you are not into hiking, nature trails, or even camping, you cannot miss out on Wineglass Bay during your visit to Tasmania. Most visitors to Freycinet National Park only walk from the parking lot to Wineglass Bay Lookout (45 min. one way, see photo above). Take the steep but fun walk down to the bay (30 min. ), hopping your way over rocks, stones, and pebbles, and you will be rewarded with this view. Why not do a little more hiking while you’re up here? The Wineglass Bay – Isthmus Track – Hazards Beach trail is a beautiful hike of easy to medium difficulty, varying from a few slippery rocks to an easy stroll along the beach. The whole circuit takes 4-5 hours to complete, depending on how many photos you shoot along the way. Or, if you cannot resist a dip in those crystal clear waters (who could blame you! ), take it easy and spend all day! In an attempt to save us the money of pricey accommodations during Tasmania’s high season – Australia’s summer holidays – we decided we would go camping around the island. Yay! Camping has always been my favorite way to spend a holiday. Camping, the best way to explore Tasmania! There was just one little catch. We would be flying to Tassie on a low-cost airline. In other words, there was no way we could bring a tent, sleeping bag, or any other camping gear for that matter. Err… OK. “Camping” out in the car it is! Though slightly dreading the forecast of extremely uncomfortable nights, I was immediately looking forward to the adventure. It had been ages since I had gone camping! Boy was I surprised to find that Tasmania is packed with FREE camping sites. In the most amazing locations. In the middle of the wilderness, near national parks, at the beach, or around town. And some free sites even come with facilities! ALSO READ –> Fun for Free: Camp you way around Tasmania! Mayfield Conservation Area: Free camping with facilities on the Great Oyster Bay! When it comes to wildlife, Australia is a funny place. Not so much “haha” funny, generally more like “you better watch your back” funny. As we all know, this country is full of bugs, fish, rodents, snakes, invertebrates, and other critters that can kill a human being in an instant. Ironically, Australia is also home to some of the cutest creatures you will ever lay your eyes on! That is, if you’re lucky enough to spot them. An Echidna posing in front of Cradle Mountain, Tasmania. Photo credit: Jason Stephens. And this is where Tasmania takes the cake. It might be due to the peace and quiet of the Tasmanian Wilderness, the relatively cool climate, or the fact that it’s an island, but a visit to Tasmania definitely ups your chances of close encounters with the native wildlife. After the discovery of Port Arthur by the British, Tasmania became a particularly popular destination for these so-called “transportations”. Being a peninsula quite literally at the end of the world, the rulers of the time decided this would be a great place to build a prison. After all, prisoners would have nowhere to go! Port Arthur, a Historic Site since 1979, served as a prison for the toughest British criminals from 1833 to 1877. If you committed a second crime after your arrival to Australia, or you didn’t abide by the rules of prisons on the mainland, Port Arthur would be your next destination. Two strategic locations across the harbour from the main prison were also part of the Port Arthur Convict Site. Point Puer, the end of a land tongue around Carnarvon Bay, served as a prison for boys. The Isle of the Dead, a cemetery island with mass convict graves as well as marked tombstones, is said to hold the remains of more than 1000 people (!). Remnants of Tasmania’s convict history can be found all around the island. A good example of this is Richmond, an elegant historic village just north of Hobart. Not only does this originally military town have a number of beautiful heritage buildings dating back to the 1820s, but Richmond is also home to Australia’s oldest bridge still in use. And who do you think built this lovely piece of architecture? Yup, the convicts indeed. If all of the above is not enough to do it for you, go to Tassie to unwind. Step back in time, relax, and have a laugh with the locals. Not only is Tasmania packed with artsy hippy towns, bohemian cafes, and organic restaurants, but Tasmanians are some of the friendliest people I have ever met! Held annually in Cygnet, a crafty town about an hour south of Hobart, this festival attracts musicians, street performers, artisans, and all sorts of other artists and creative types from around Australia and even the world. It is safe to say that Cygnet Folk Festival is one of Australia’s most iconic folk festivals. With a population of less than 1,000 people, the locals manage to host and entertain thousands of visitors every year since 1982. And they sure know how to decorate their town. Colorful signs, crochet, and flowers everywhere! The Lotus Eaters Cafe has some amazing paninis on the menu! Added bonus is its location in the bay area originally called Port des Cygnes (Port of Swans) by the French, showcasing some of the most intense blue water you will ever see. Apples, pears, cherries, blueberries… At Pagan Cider, all of these fruits are transformed into tasty ciders. Wondering what they do with honey? That’s turned into a sweet and super yummy (!) drink called Mead. And the best part? Visit the cellar and you can taste all of these delicious drinks for free! Have you ever been to Tasmania? Have you ever skipped Tasmania? Why? And do you regret not going after reading this post? It sounds like you had a wonderful time. I never thought of Tasmania as a travel destination but after your description, would certainly love to visit. What an adventure you two are having! Love you both. Scenery is beautiful and I never thought of Tasmania either. I’d like to see 6’6″ Will sleeping in a car!